Dickson condemned the attitude of some politicians to deploy their federal links to the detriment of the people and called on Ijaw sons and daughters from the Niger Delta region who claim to have federal support, to use their contacts to accelerate development, promote peace and stability in the communities, clans and region. He told his hosts that the visit was over the “killing of 38 indigenes of Abonnema and two others in Buguma, Rivers State, by soldiers during the February 23, 2019, Presidential and National Assembly elections”. 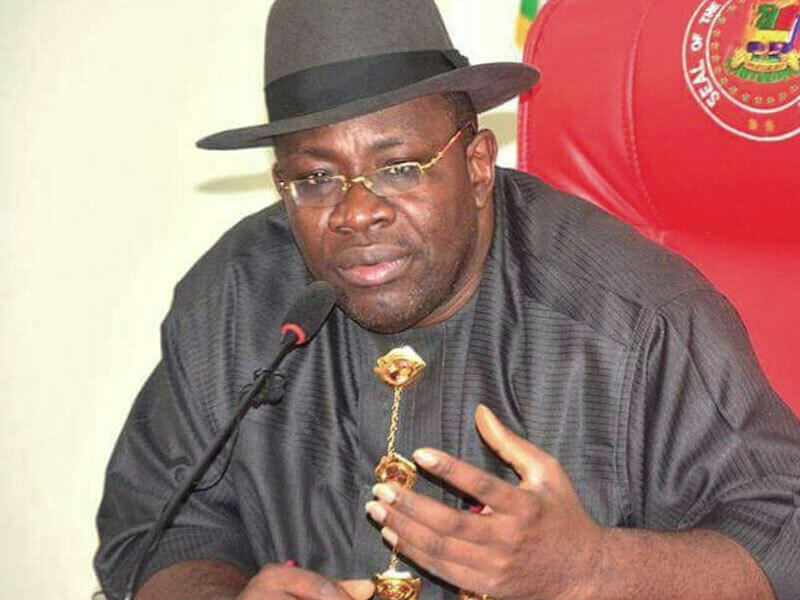 Dickson stressed that the murder of innocent people in the guise of providing security in an election in the peace loving Ijaw communities of Bayelsa and Rivers was undeserved and indeed unacceptable. The governor noted that the government buried two of those killed in Bayelsa, namely the Government House photographer, Mr. Reginald Dei and a Peoples Democratic Party (PDP) chieftain, Seidougha Taribi, who were killed in Oweikorogha, Southern Ijaw Local Government during the last elections. Dickson, who commiserated with the entire Kalabari kingdom and families of the deceased, said the ancient kingdom suffered more bloodshed than any other community in the presidential election which he described as a contest between brothers and friends. In his remarks, the Amayanabo of Kalabari Kingdom thanked the governor and his entourage for the condolence visit, which he described as timely and wise. While lauding Dickson for his contributions to the development of Kalabari kingdom, he expressed sadness over the killings and wanton destruction of property by soldiers, not only in his kingdom but in the entire Ijawland and prayed against a reoccurrence.